MPs have challenged a representative of Google over the way the company reports its income for tax, during a meeting of the Public Accounts Committee on 16 May 2013. 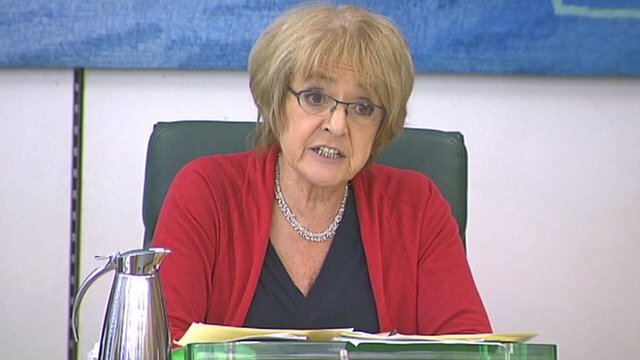 The chair of the Public Accounts Committee, Margaret Hodge, accused Google of "devious, calculated and, in my view, unethical behaviour". She added: "You are a company that says you do no evil and I think that you do do evil in that you use smoke and mirrors to avoid paying tax." Mrs Hodge warned Google's vice president Matt Brittin, appearing at the committee session, that it was a serious offence to mislead a parliamentary select committee. She told Mr Brittin that whistleblowers had told her that Google had sold advertising within the UK and invoiced customers in the UK. Google had earlier said that UK customers paid Google in Ireland. "No one in the UK can execute transactions," said Mr Brittin. "No money changes hands," he said, despite employing sales staff in Britain. But Ms Hodge said: "It was quite clear from all that documentation that the entire trading process and sales process took place in the UK." Google's sales in the UK are worth £3.2bn but most are routed through Dublin. In 2011 it paid £6m in UK corporation tax. John Dixon, head of tax at Ernst and Young, also appeared at the committee; which subsequently questioned Lin Homer, chief executive and Permanent Secretary, HMRC and Jim Harra, Director General Business Tax, HMRC.